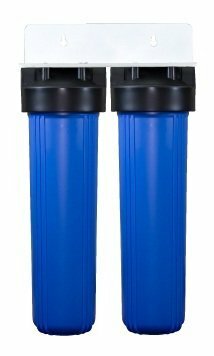 20;quot; Jumbo Double Filter ★ Industrial Filter Series Johor, Kluang, Malaysia supply ★ Azure Purewater Marketing Sdn.Bhd. help protect clothes, fixtures and toilets against unsightly stains caused by iron and rust particles. It will protect and extend the life of your appliances by removing sand, silt, scale and other particles. * Reduces dirt, sand, and silt. * Tough, durable, thick-walled clear housing. * Equipped with pressure relief button.